Mumbai : Bollywood actress Kareena Kapoor who married to Saif Ali Khan in October 2012 and now she surprised to everybody as she says, she want to be a mother but not in two or three years. Bebo cleared that he have no planning to be a mother and this yoke tied in a knot after a five year of relation. Despite their marriage she did all types of movies and it is very hard to do like Kreena. Acterres have to do all these thing for become a successful actress. She is a hot stuff actress of this Industry after it she is working hard to be an idle for those which are dependent. 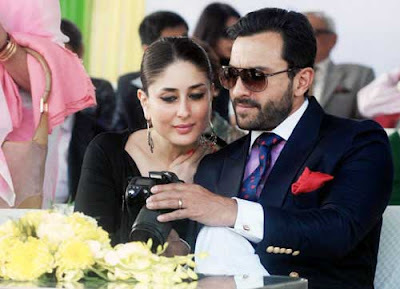 Recently, Kareena Kapoor Khan and actor Saif Ali Khan were reportedly planning to have their family and have to own kid finally. It was the first time Bebo self confessed that she wants to be a mother and have kids after a 2 years of successful marriage. Kareena Kapoor Khan is presently busy as she have lots of projects in hand for year 2015. She recently seen in 'Bajrangi Bhaijaan' which is on-going to make the records of collection. After it she will start shooting for R Balki’s film with Arjun Kapoor.